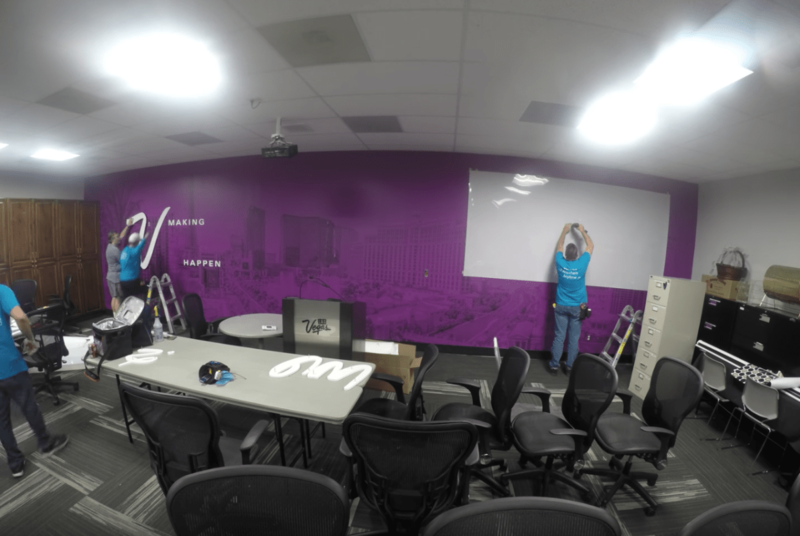 Ever Wonder How We Install All Of Those Beautiful Wall Graphics? At Color Reflections Las Vegas We Have Your Walls Covered! We have a saying that “No Job Is Too Big” for our installation team! 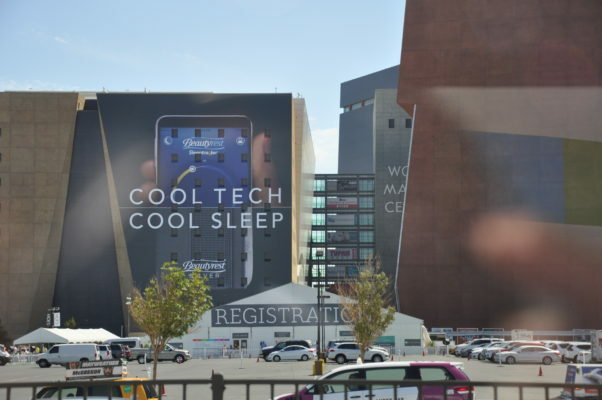 In Las Vegas, you have seen our work on the sides of large buildings, hotels and at bus stop locations! We’re also sure you have seen our work inside office buildings, car dealerships and more! It is one thing to design and produce beautiful graphics that help promote your company or messaging, but the job is not complete until your graphics are properly installed! At Color Reflections Las Vegas we specialize in professional on-time installation, which includes leaving your business facility clean and uninterrupted upon completion. Color Reflections Las Vegas’ installation teams ensure your graphics are properly unpacked, assembled and safely in place – whether it is a multi-level retail display, a fleet of buses or a 12-story banner attached to a skyscraper. Our professional staff completes the seamless process that began with your first telephone call. Our job isn’t done until your image is in front of your customers’ eyes. Below we have 3 Installation Videos which demonstrate our installation teams in action! This entry was posted in Blog, Installation, Large Format Printing, Wall Graphics. Bookmark the permalink. Welcome to Color Reflections Las Vegas! We share blog posts on the latest trends in big printing, trade show graphics, displays and everything related to marketing and branding your business!